One day of cycle tourism along the Costa Daurada. 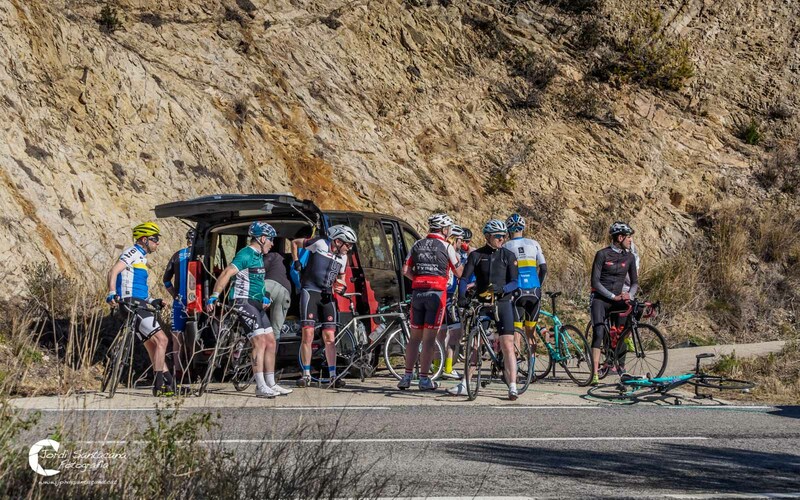 Home > Blog > One day of cycle tourism along the Costa Daurada. Do you dare to try it? One day of cycle tourism along the Costa Daurada. Do you dare to try it? We can affirm with certainty that the Costa Daurada is a privileged enclave for cycling. The quantity and quality of roads with little traffic, the climate, and the natural environment endorse it. 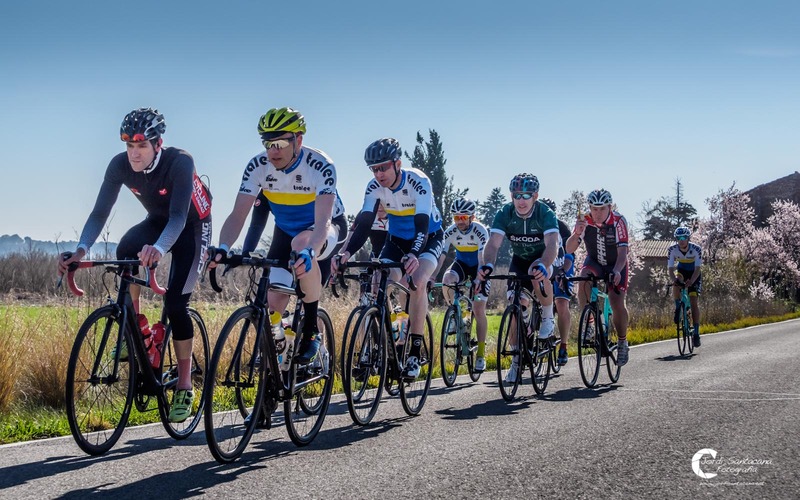 As much, as the numerous teams of professional cyclists who visit us every year to do their pre-season stages. Beyond the sports elite, we find cycle tourists, an important community of cycling enthusiasts who want to enjoy, without competing, some of the best roads that can be found in Europe. We have gone undercover in the 'Training Camps' organized by our partners at Cycling Costa Daurada to see and live the experience in person. 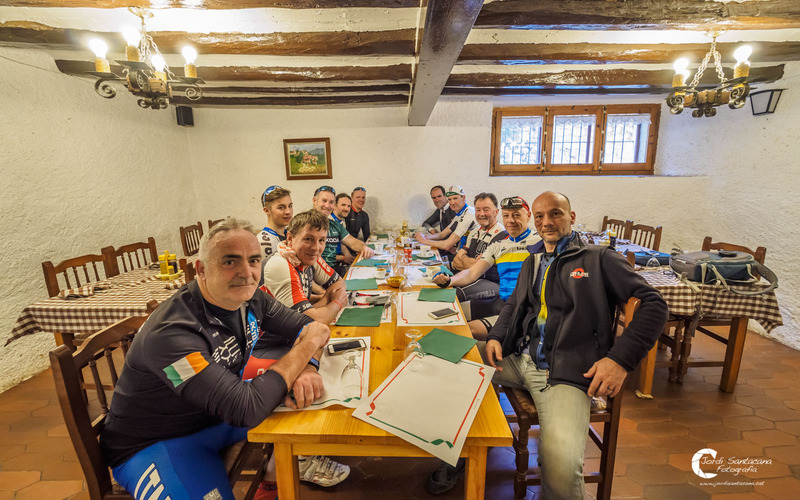 On this occasion, we accompanied a group of Irish cyclists through one of the most beautiful routes in our area. Don´t miss it! 10:00 H The grupeta leaves from Cambrils Park Sport Village. Everybody is in a great mood. After a good breakfast at the Buffet and got our cycling jerseys on, the road awaits us. It´s a beautiful sunny day, and coming from Ireland, the group appreciates enjoying the sunshine. Behind the grupeta, the assistance van always follows. Its purpose is to load spare parts and bicycles in case there is a breakdown, also transport the personal belongings of cyclists and ensure the safety of the group on the road. The vehicle and the guide of the route are always in contact via walkie talkie to communicate without having to stop or influence the pace of the cyclists. As a co-pilot, a professional photographer. He will be in charge of immortalizing the best moments of the start of the route so that the participants take a great souvenir home. In addition, he will not hesitate to throw himself on the ground to capture the best moments. With this operation it is impossible not to feel like a cycling 'pro'!! 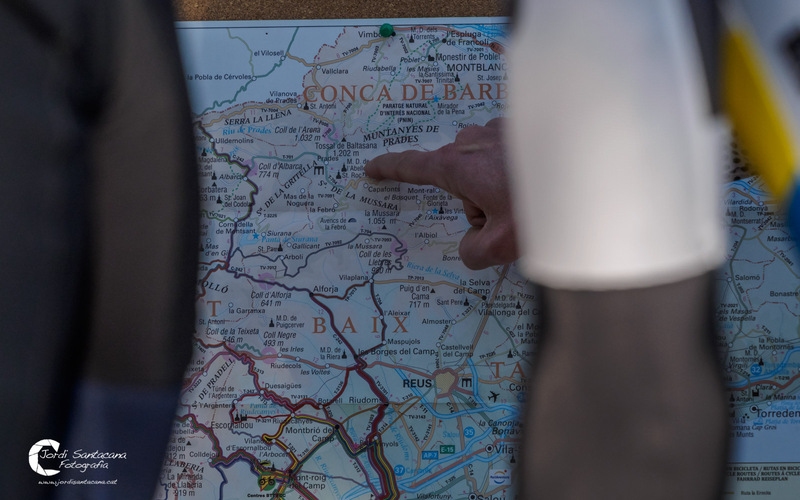 11:00 H The route has just started, but we have already crossed the municipalities of Cambrils, Riudoms, Les Borges del Camp, Maspujols and l'Aleixà. The group is going at a good pace and the spirits remain high despite intensifying the effort. The sun accompanies us, and we realize that spring begins to delight us with some notes of colour. It is a good time to make a short stop to get hydrated and recover energy by eating some biscuits and nuts. All this, practically without getting off the bike ... There is no time to lose, there is a lot of road ahead of us! 13:00 H The journey continues through Vilaplana, La Selva del Camp, l'Alcover, Picamoixons, La Riba and, finally, we arrive at Farena. We stop at this beautiful enclave of the Mountains of the Costa Daurada to rest and eat in a restaurant as picturesque and cozy as the town. The conversation flows, the inclines, the descends and the beauty of the views are commented. 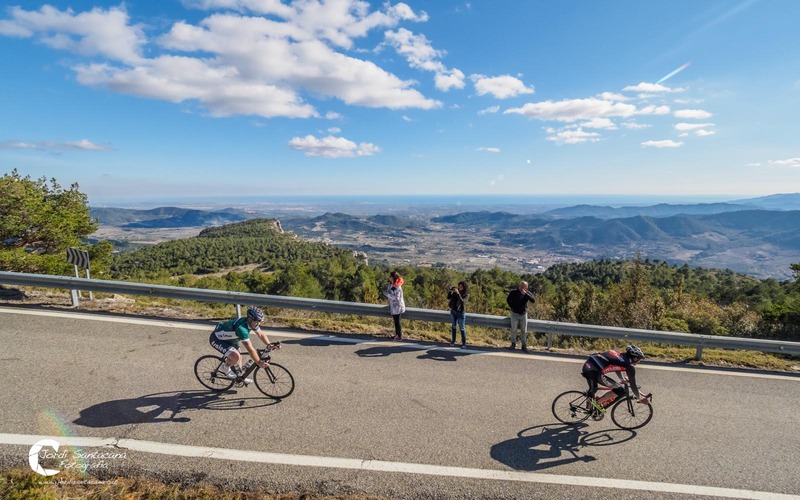 The Cycling Costa Daurada team makes everyone feel like a great family, and in a way, they are, because most of the participants are repeaters, some even for the fifth time! 13:45 H The break for food does not go on more than necessary. The menu has not been abundant either, a good slice of toasted bread with tomato in the Catalan style, with garnish, choice of each guest. We have to maintain concentration and energy during the way back. It is already known that, after an abundant meal, lack of energy is inevitable. 15:00 H The energy of the group feels more relaxed as we return. We have already achieved the goal of the route and want to enjoy more of the panoramic views of the sea bathed by an impeccable sky, from the top of the mountain. Those who don´t relax are the guide, the driver and the photographer, they have to continue with the 5 senses wide awake until the end. 17:00 H We arrived at the starting point, at Cambrils Park Sport Village, as tired as satisfied by this excellent day. Each pedal has been worth it. And now it's time to rest and prepare for tomorrow's route. They will decide it jointly according to the climate and the level of fatigue, since all the experience is designed according to the group. We already said goodbye to them. We have only shared a few hours and we already feel part of this grupeta. Could it be that cycling brings people together?